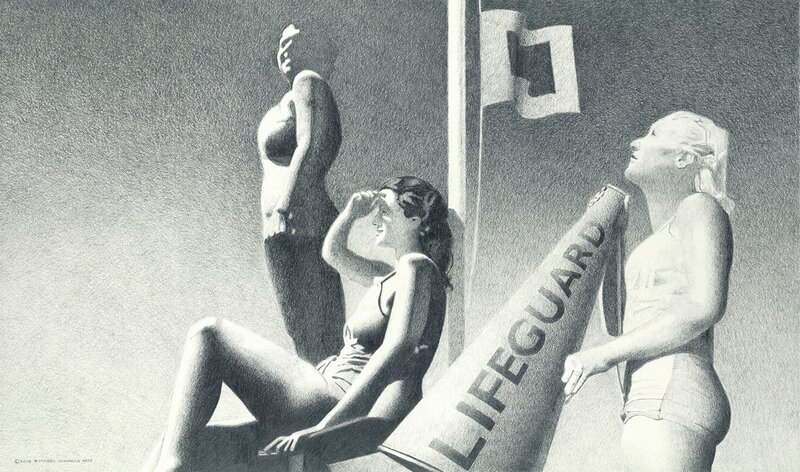 Richard Chandler Hoff is a nationally recognized artist working exclusively in graphite pencil on paper. His work has been included in the prestigious Pennsylvania Art of the State competition for four consecutive years and he is represented in public, corporate and private collections including the Butler Institute of American Art and MSNBC Bank (now Bank America). 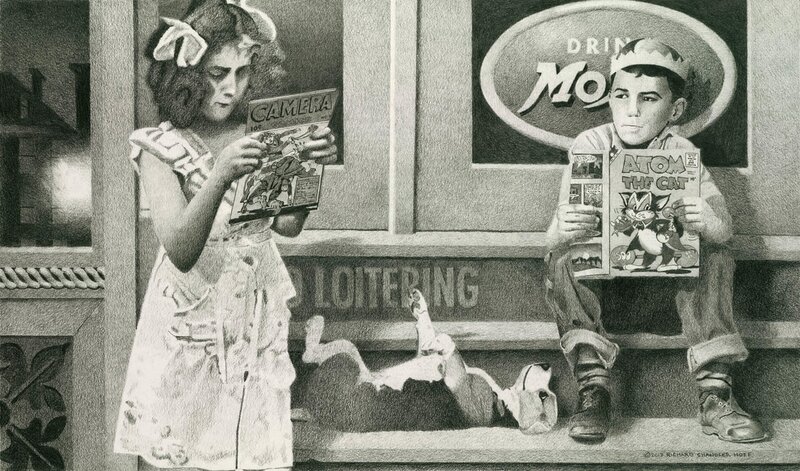 Hoff’s drawings have also been featured in American Artist and Drawing magazines. 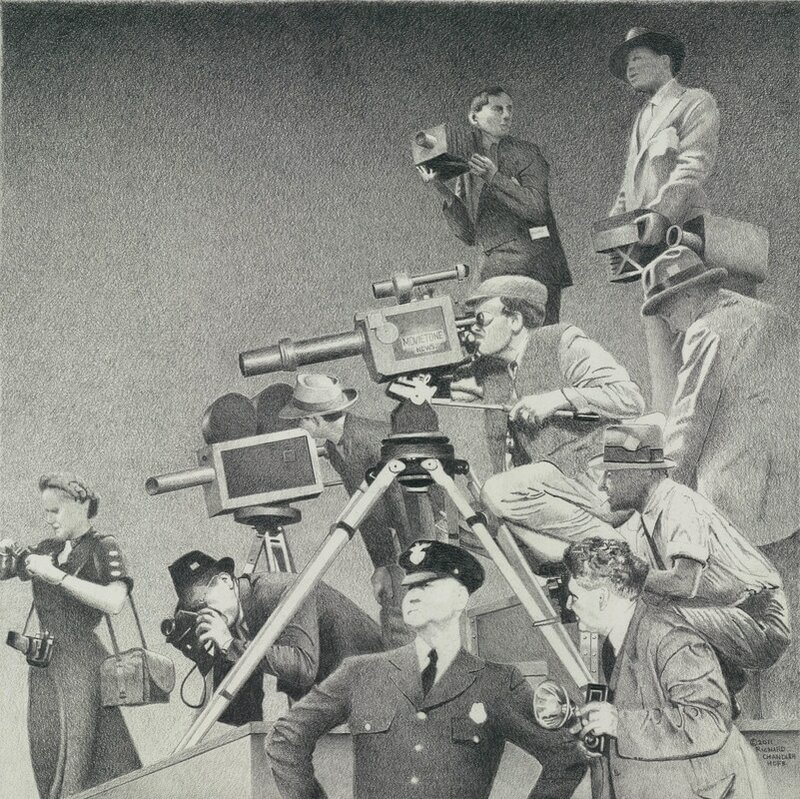 Most artists illustrate what they can observe. Hoff illustrates life in America during the 1940s. 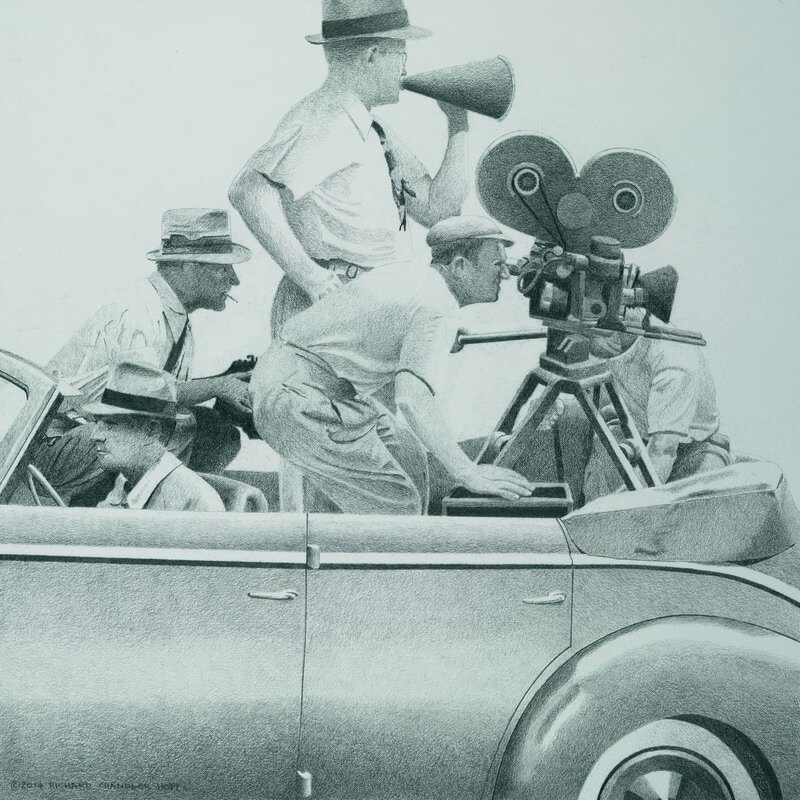 To depict an era of more than sixty years ago requires representing a reality that no longer exists. Hoff begins with a concept from his imagination, a concept which must be supported by photographic research and he relies on photo files and an extensive library to bring concept to reality. When Hoff’s research is complete, he makes preliminary sketches from the selected photos. It is at this point a character’s facial expressions, hair styles and clothing are altered to support his concept. Every element, large and small, fuses together with light and shadow in a seamless composition that convinces the viewer he is a witness to an actual moment in time.